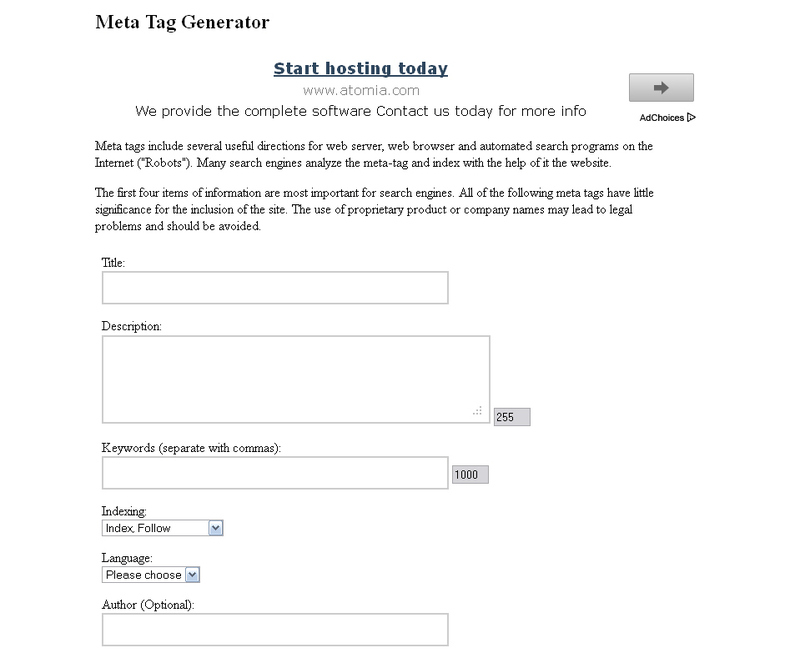 With this easy to use and install Meta Tag Generator PHP Script, you can offer your visitors a very usefull tool to generate meta tags for their websites. Meta tags include several useful directions for web server, web browser and search engines. Run this generator software as a standalone site, offer this meta tag tool to your existing website visitors and they will come back for more, or simply use it for your own needs! As this php script comes with easy ad integration, you can also make money with it on autopilot. - Generates XHTML valid meta tags. - Many various usage possibilities. - Setup your own meta tags.